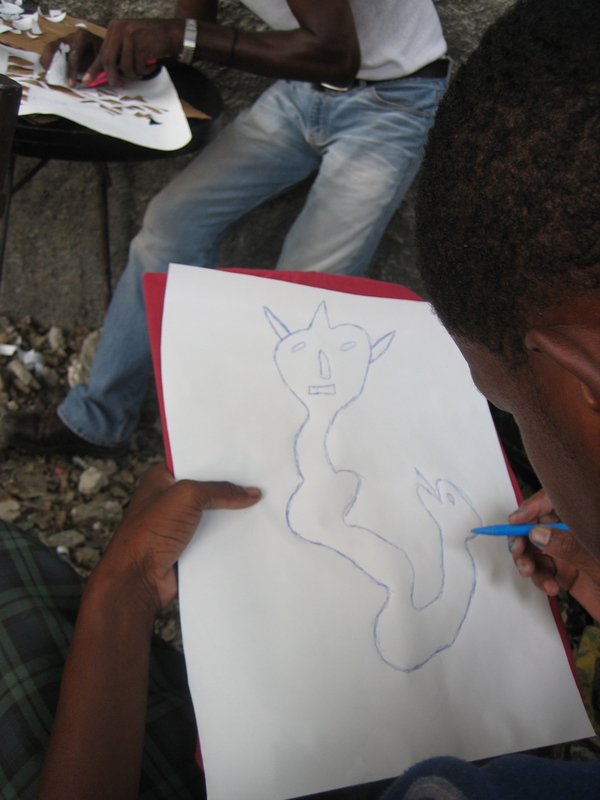 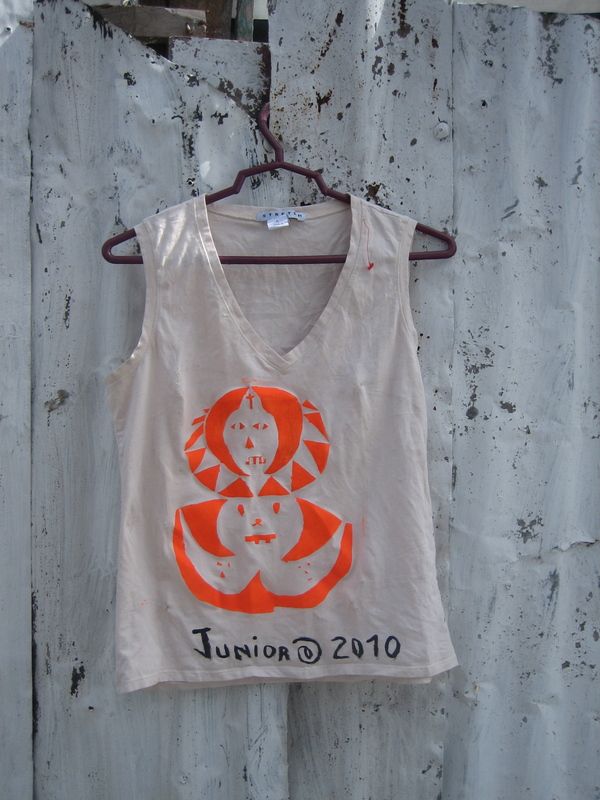 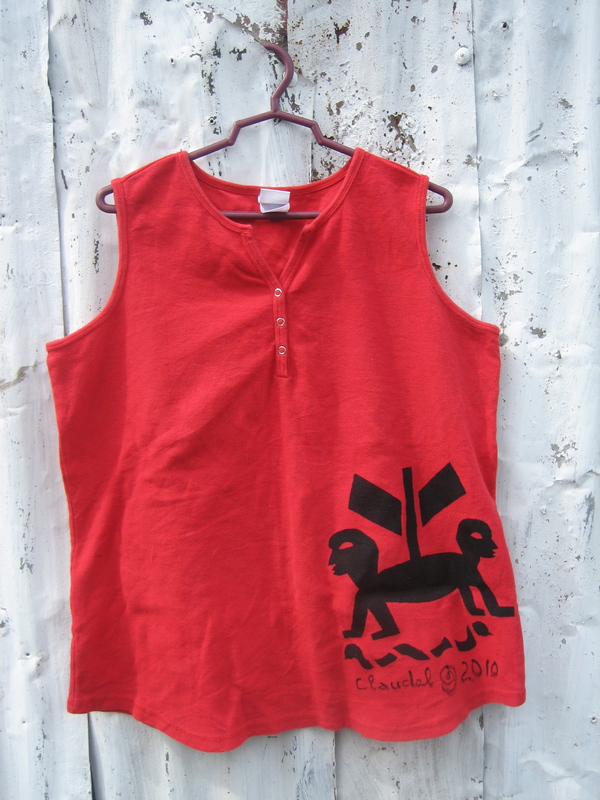 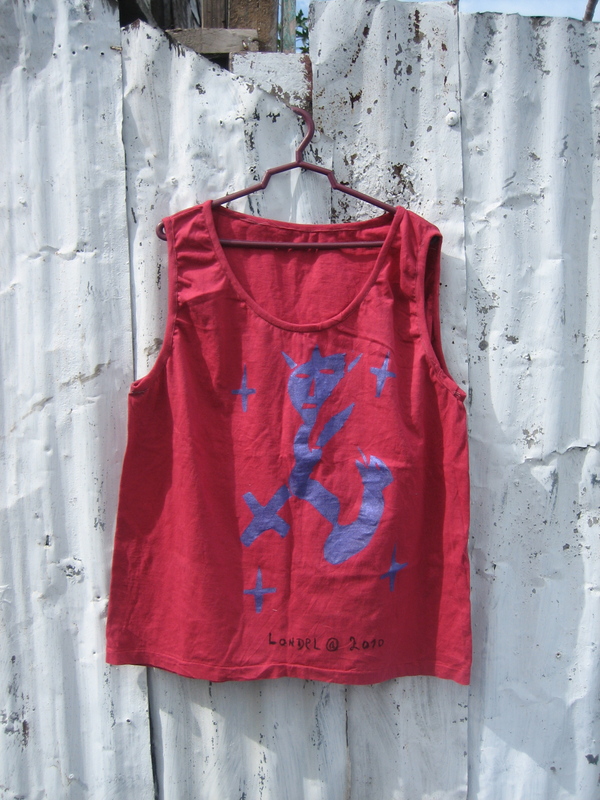 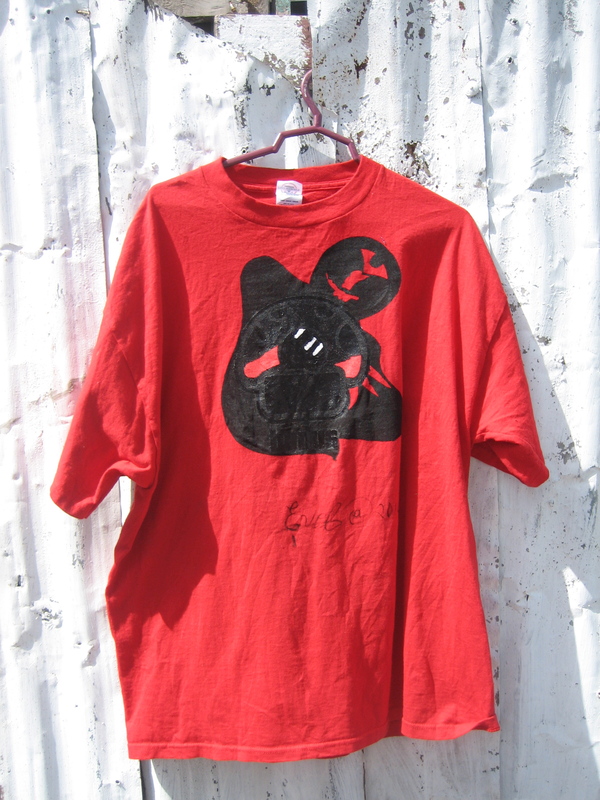 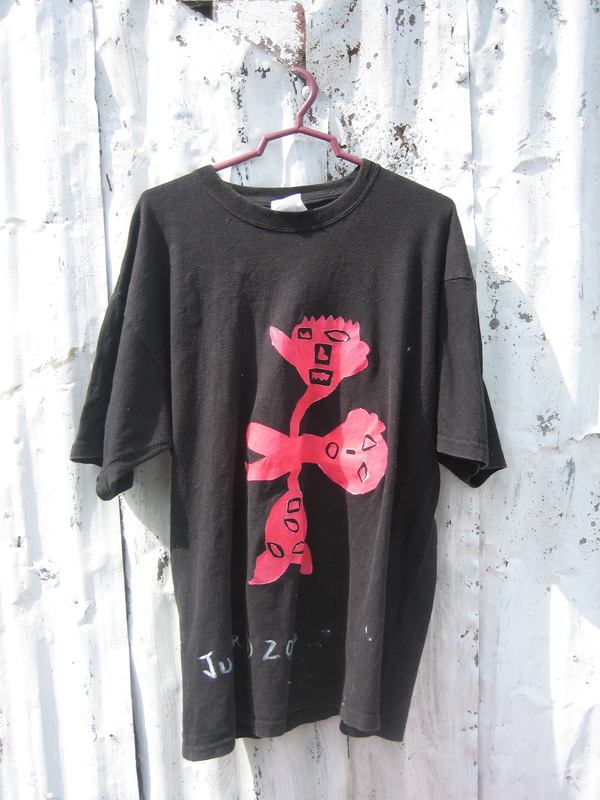 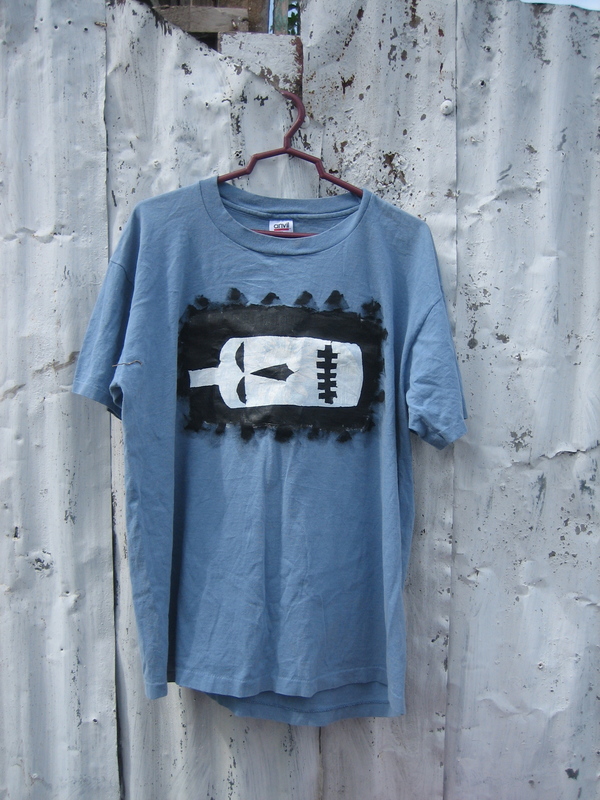 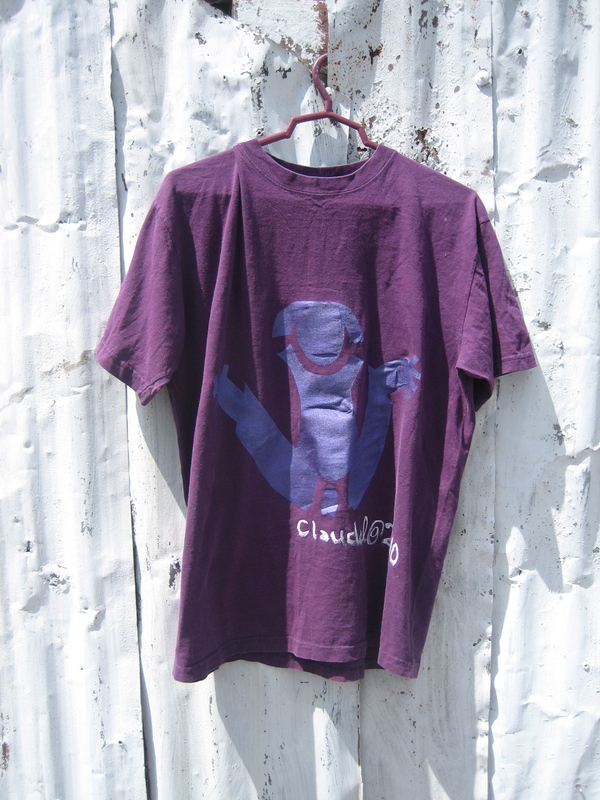 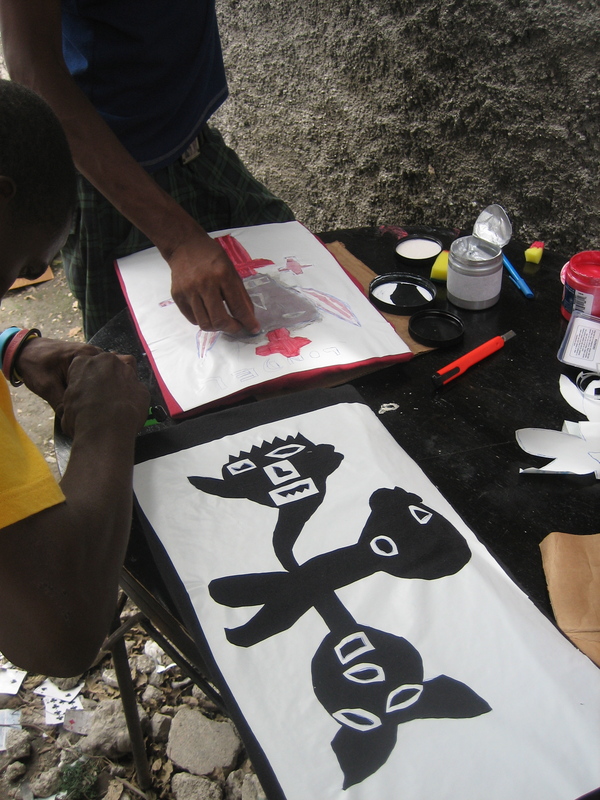 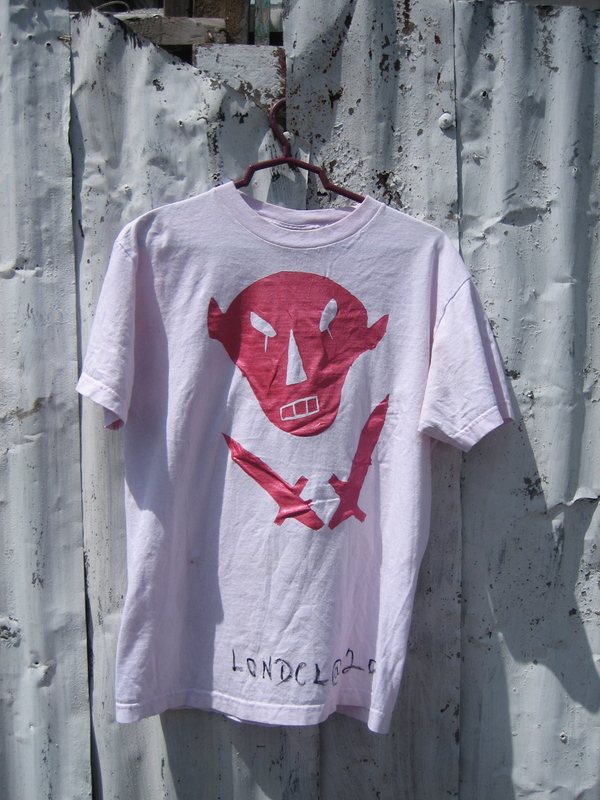 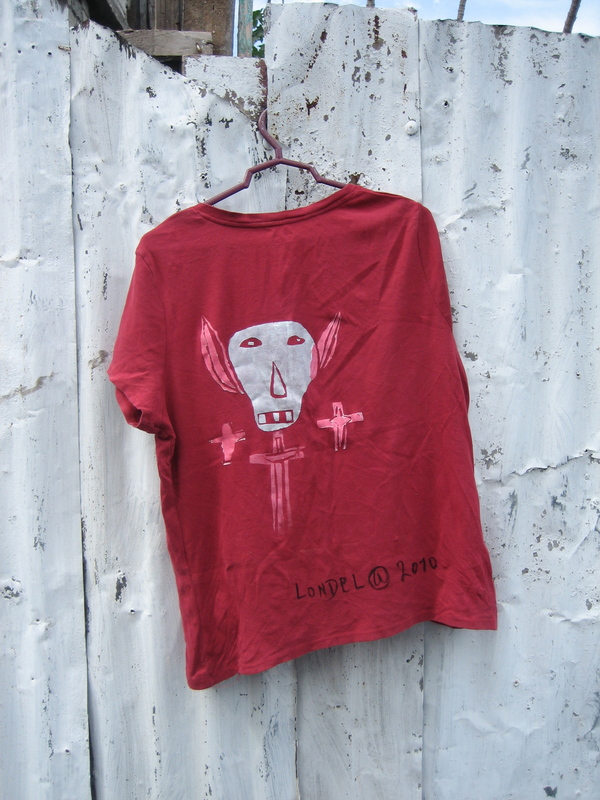 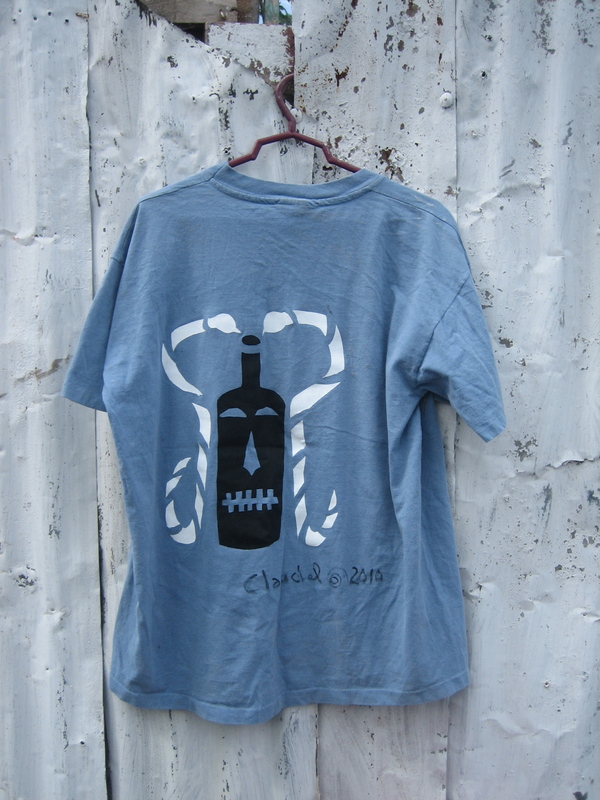 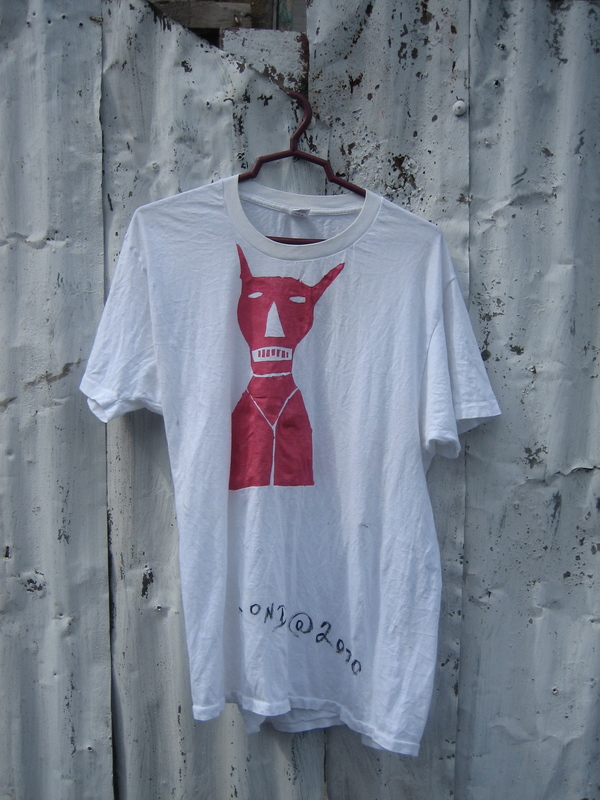 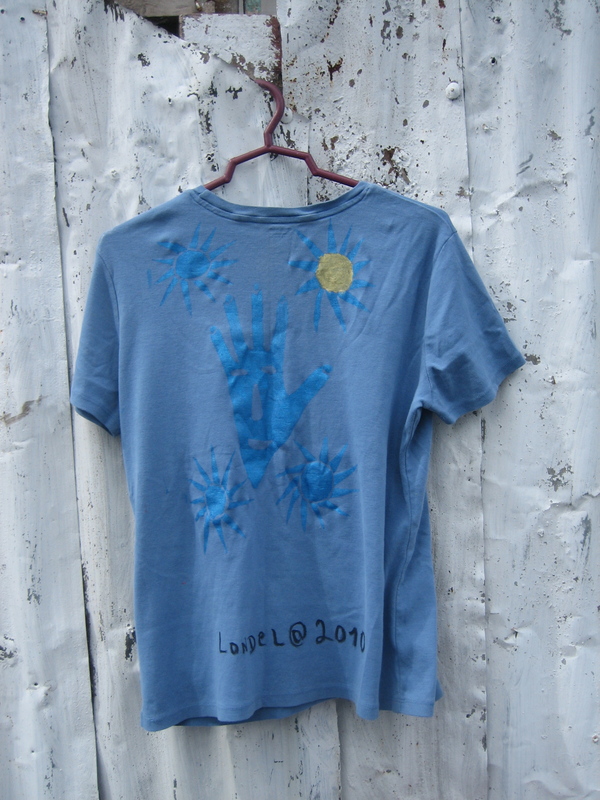 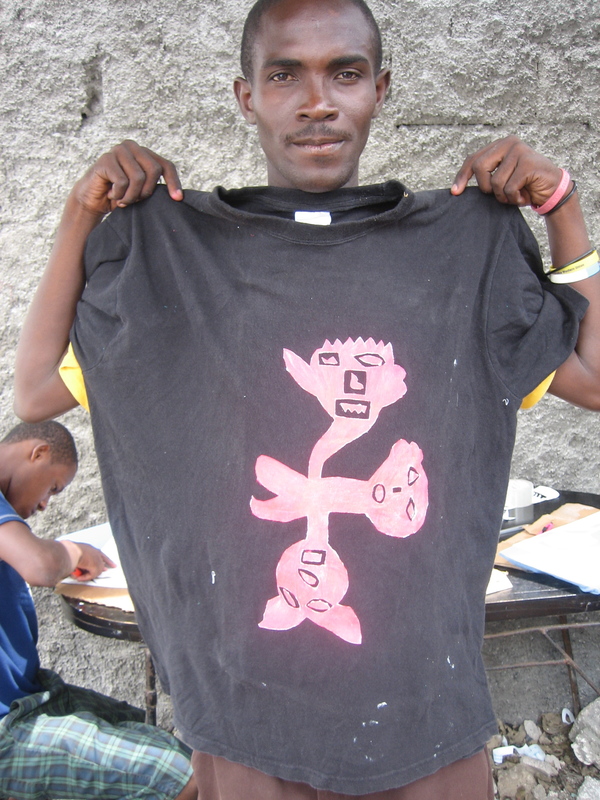 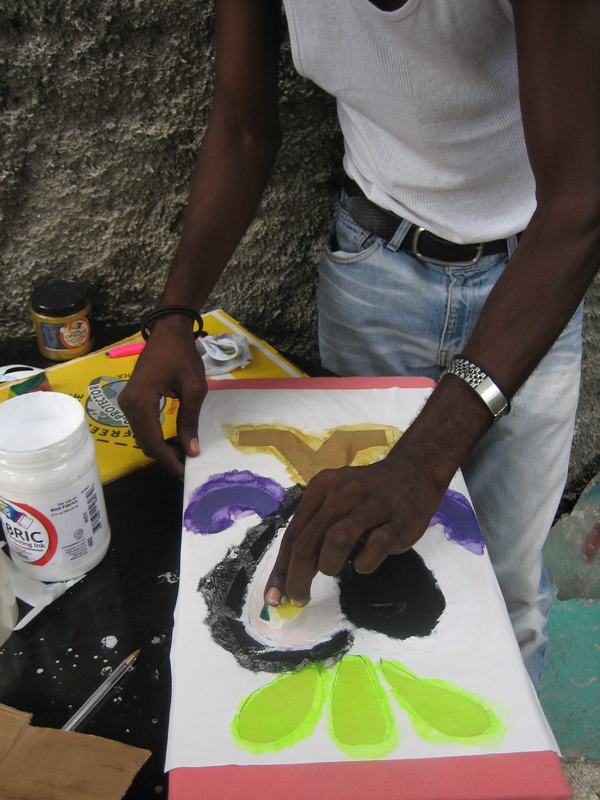 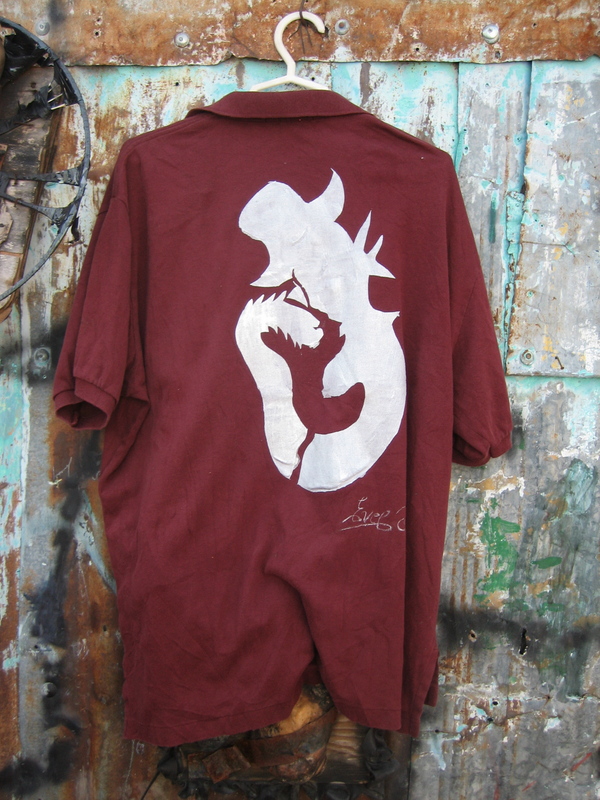 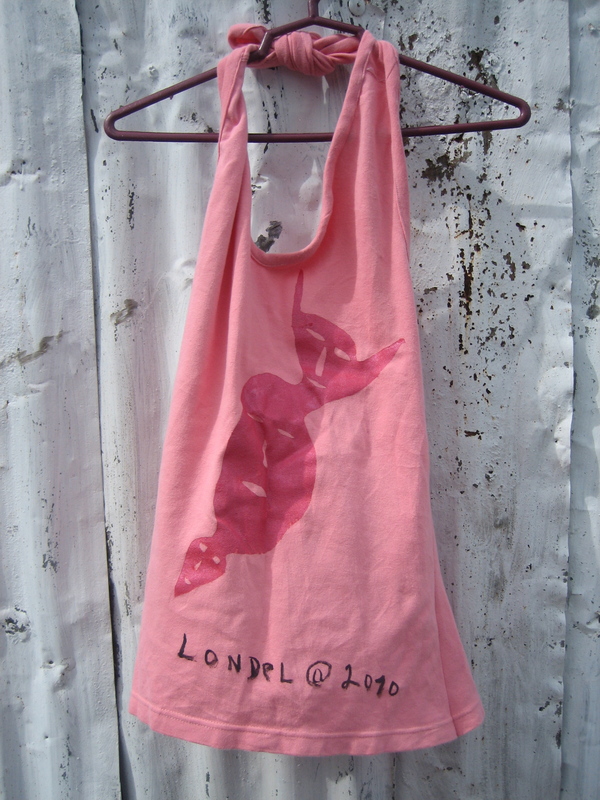 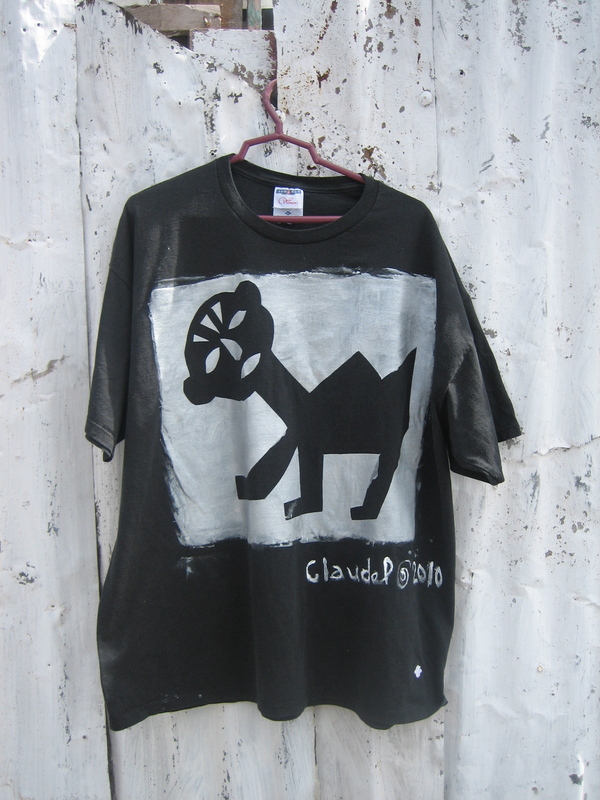 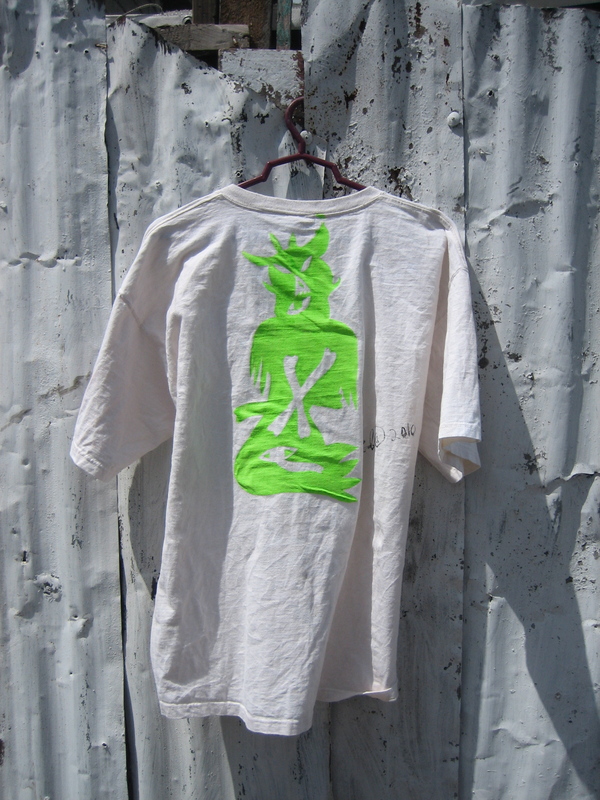 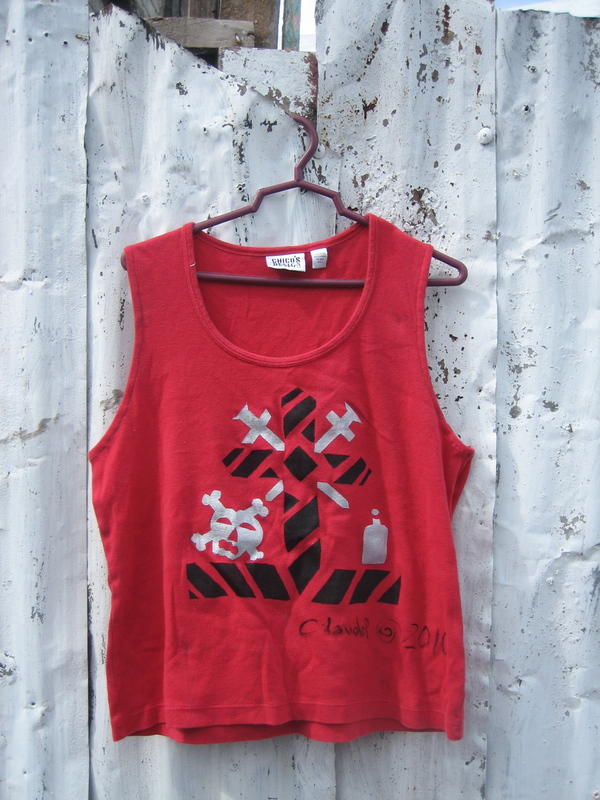 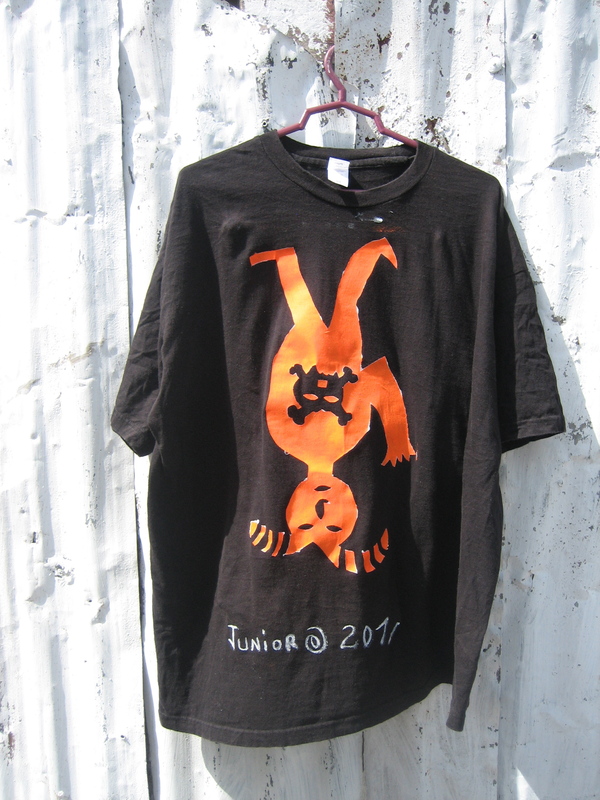 Frau Fiber worked with four neighborhood artist to create these fantastic T-Shirts! 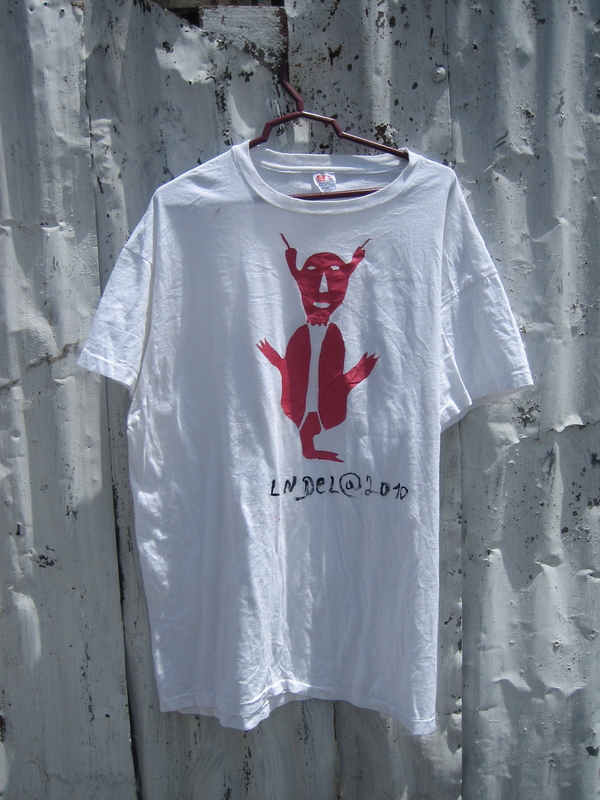 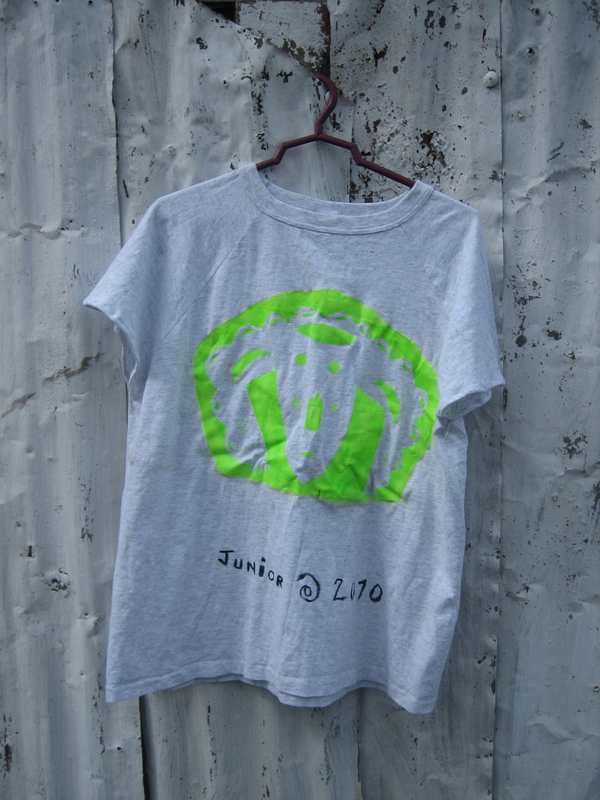 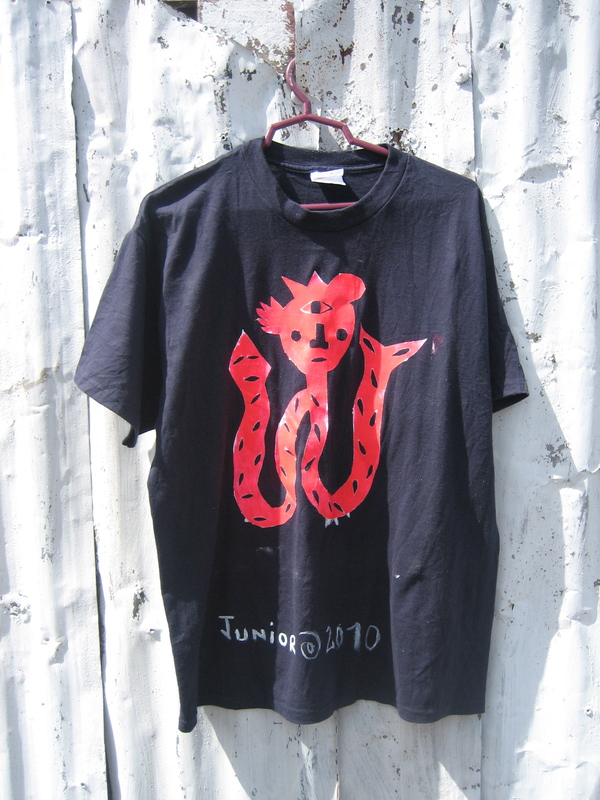 This was the first time stenciling T-shirts, there are flaws and imperfections, which add to the hand made quality of the garments. 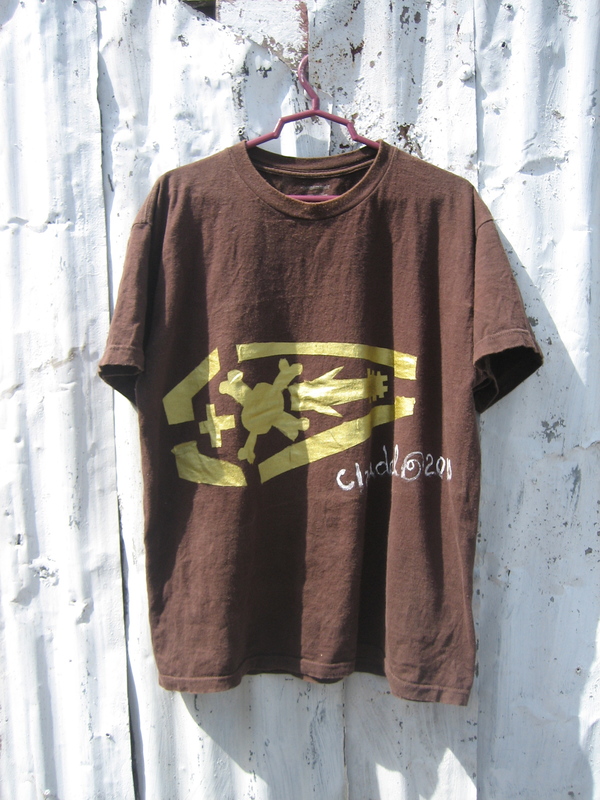 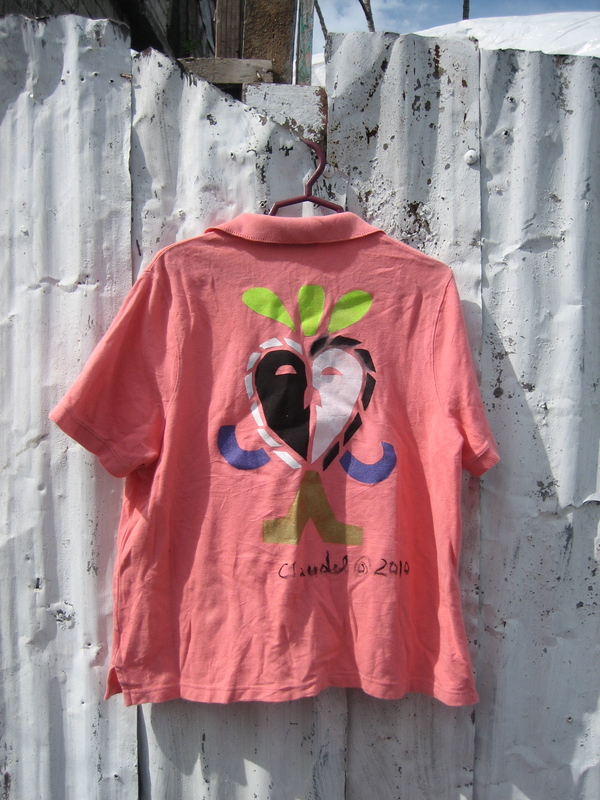 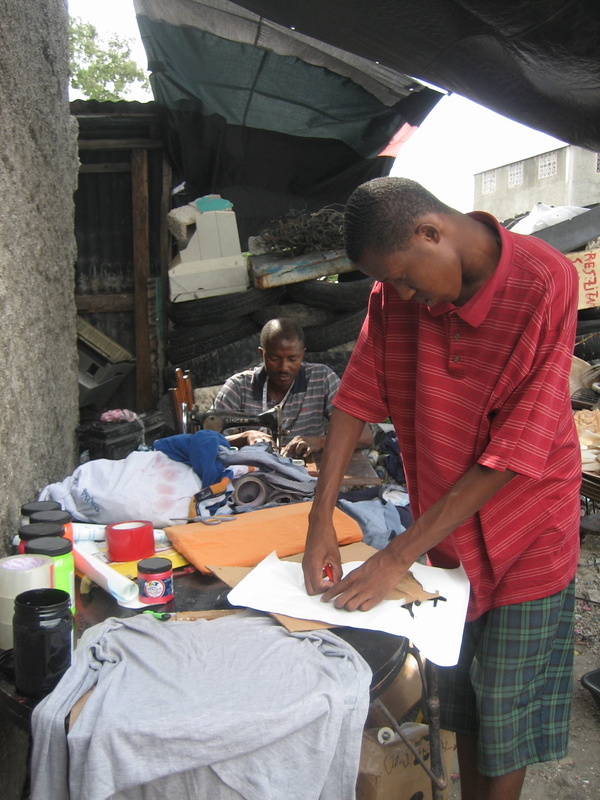 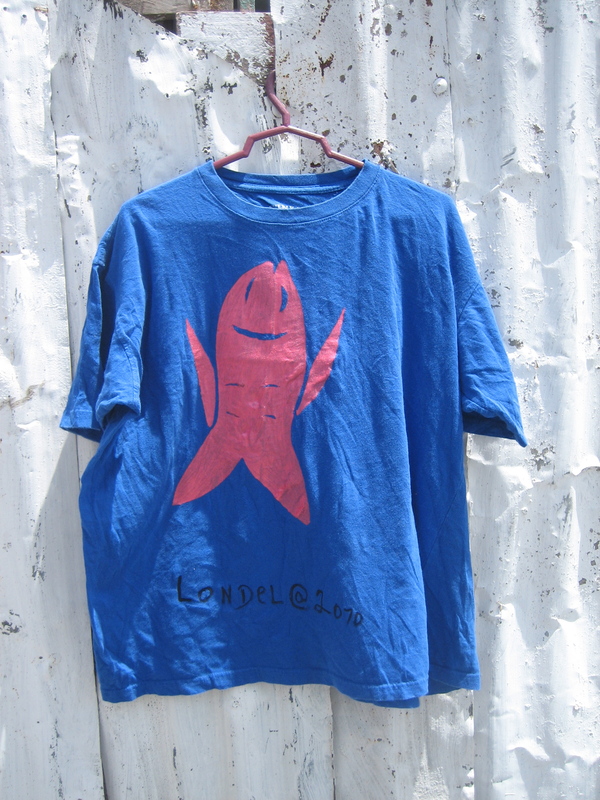 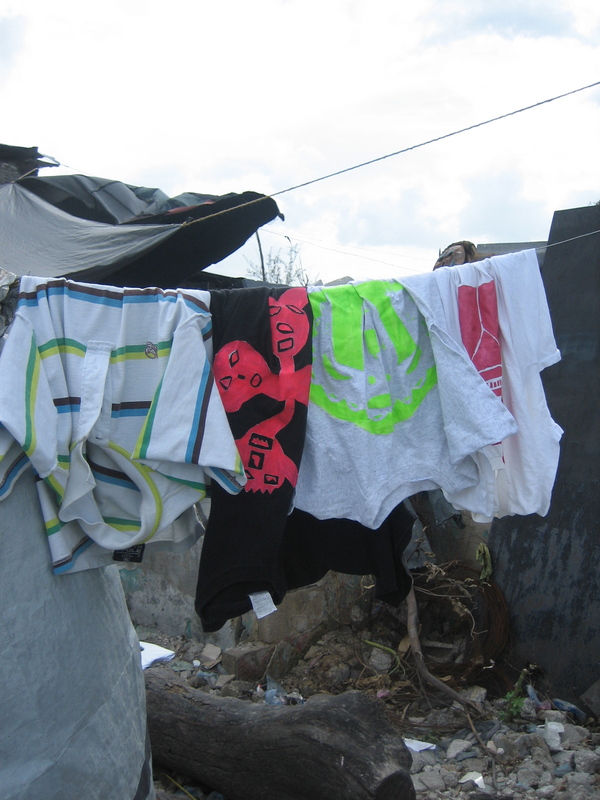 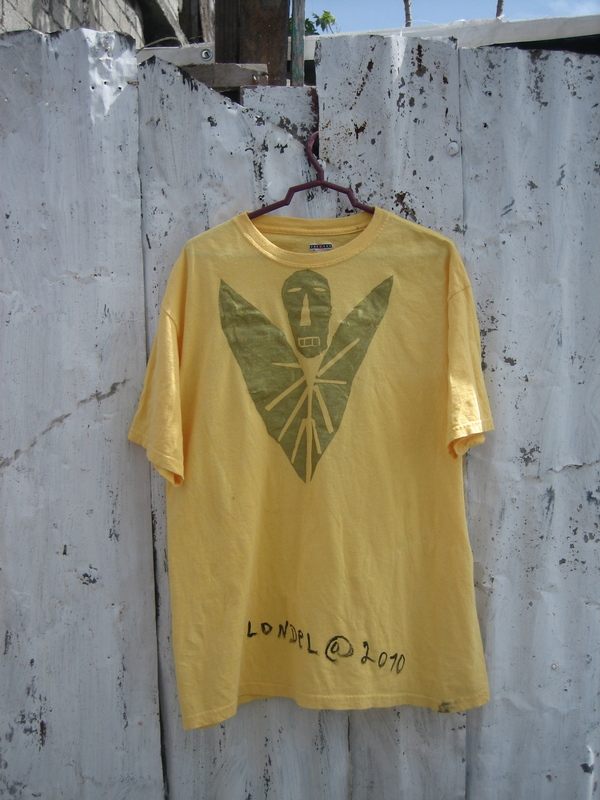 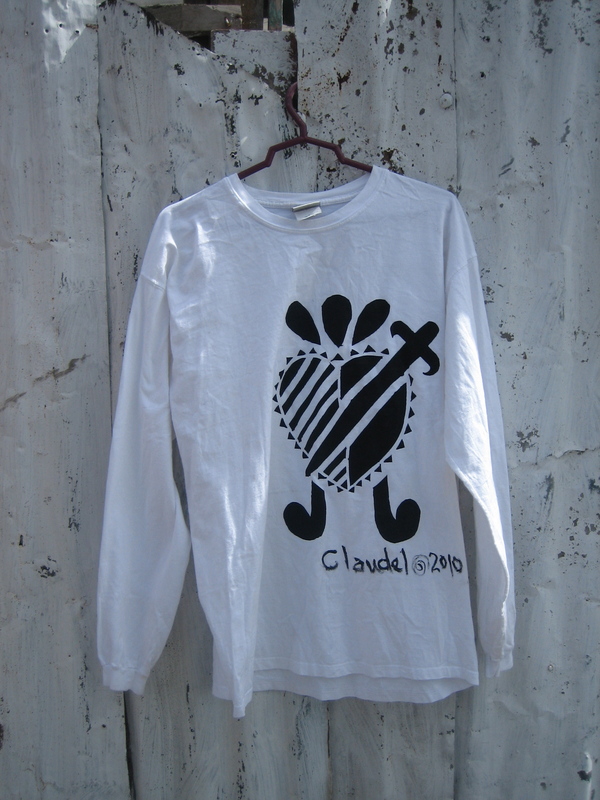 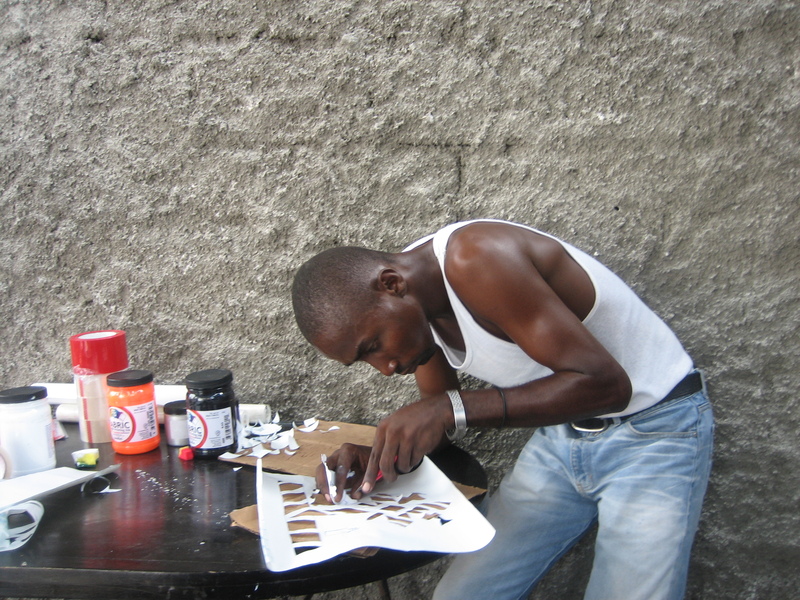 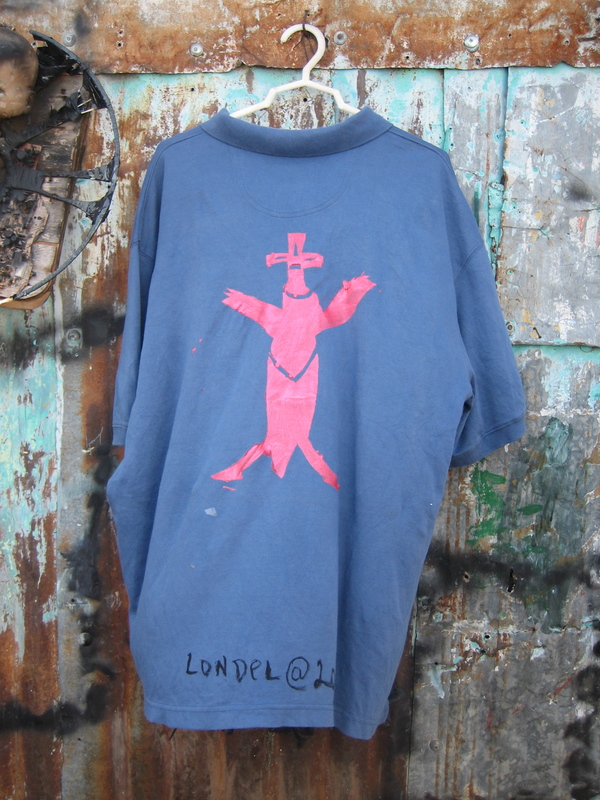 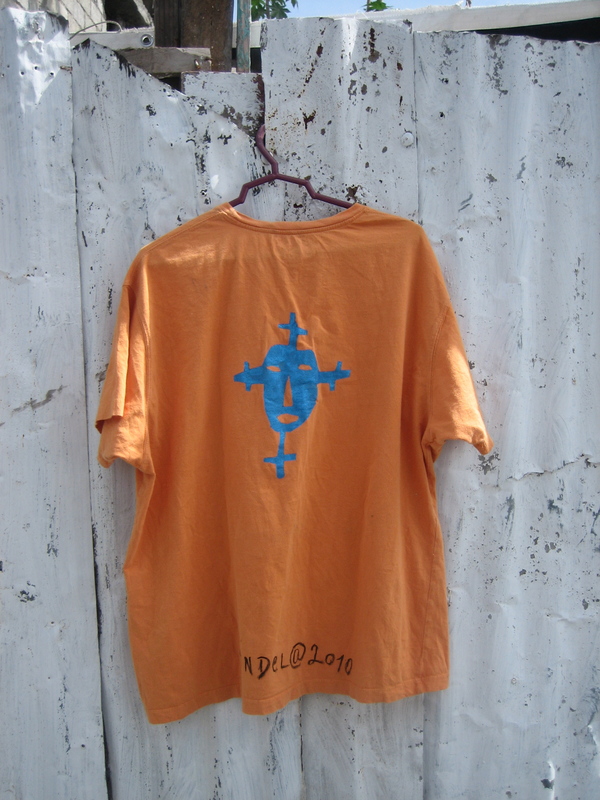 These shirts have traveled from places of manufacturing like Guatemala, India, China to first use in USA, then to Haiti where they become Pepe and now back to the USA, where they are being resold, to support these artist who aspire to go to school for Engineering, English, and Political Science. 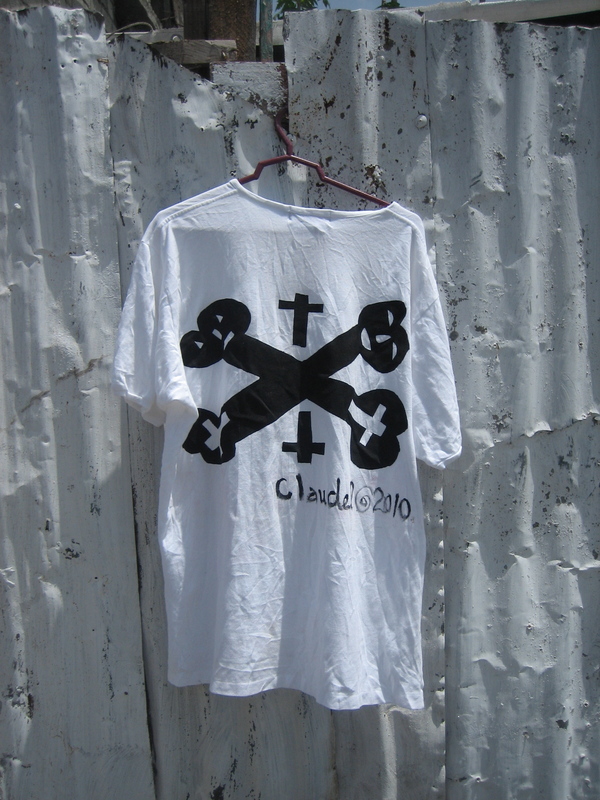 Collection / Art by Kele Casseus Jr.